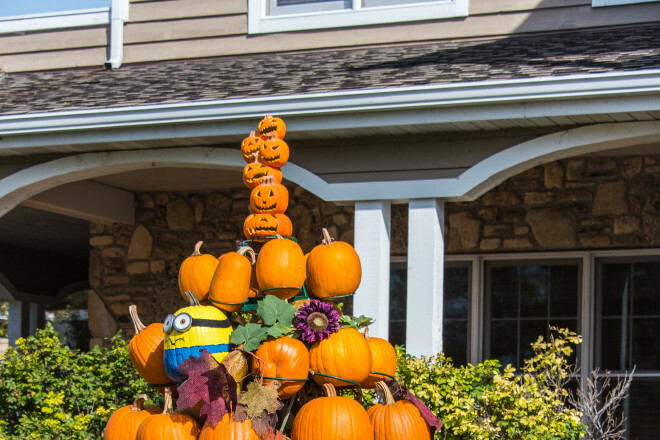 The Egg Harbor Pumpkin Patch Festival offers fun for the entire family, including the popular pumpkin and scarecrow contest. Photo by Len Villano. One of the great weekends for family fun in Door County returns Oct. 6 – 8, 2018 with the Egg Harbor Pumpkin Patch Festival on Columbus Day Weekend. Enjoy live music, carnival rides, arts and crafts vendors, face painting, pumpkin and scarecrow displays great food and fun for the whole family! Pumpkin Patch weekend, as locals call it, is one of the busiest of the year, as fall colors are usually in full display throughout the peninsula. Though the villages are busy, one can easily step away from the bustle in the parks and back roads of the Door. 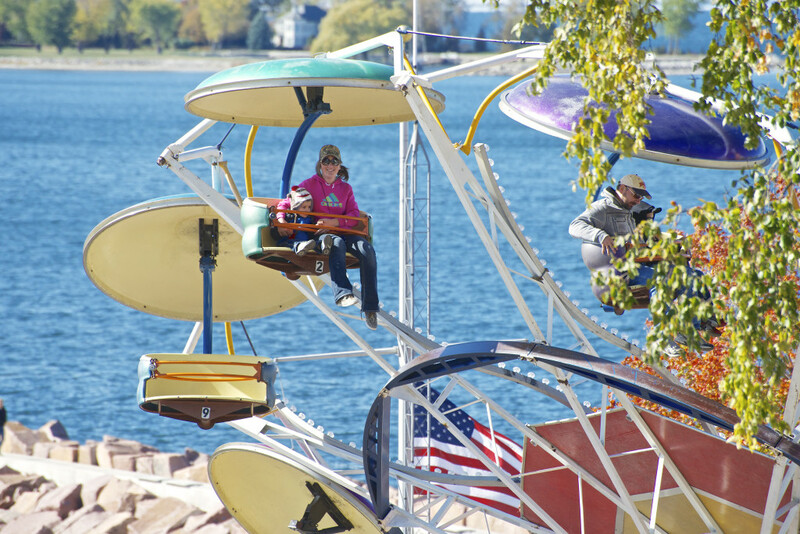 Carnival rides at the Egg Harbor marina are a big attraction at the annual Egg Harbor Pumpkin Patch Festival. Photo by Len Villano.